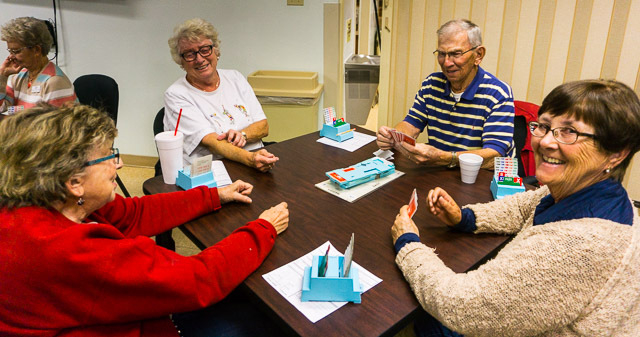 Happy Trails Resort offers many opportunities to participate in a game of cards at one of our centers. 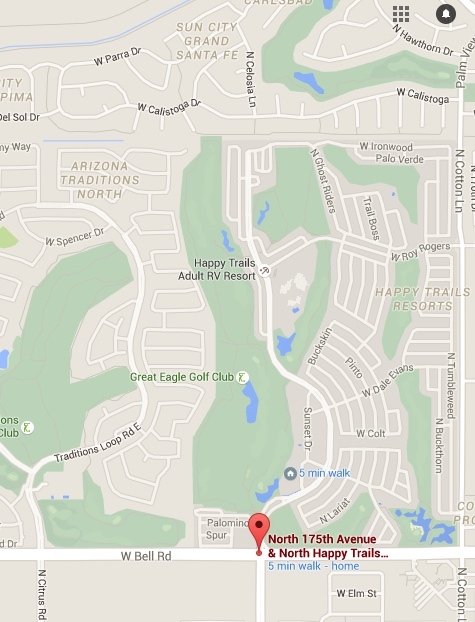 Have fun while meeting some of the friendliest people you will ever know. If you would like to learn how to play bridge, go to the Grand Slammers games and someone will link you up with an instructor. If enough folks want to learn how to play, a class can be set up. Pick your group, pick your day, and have fun with us. 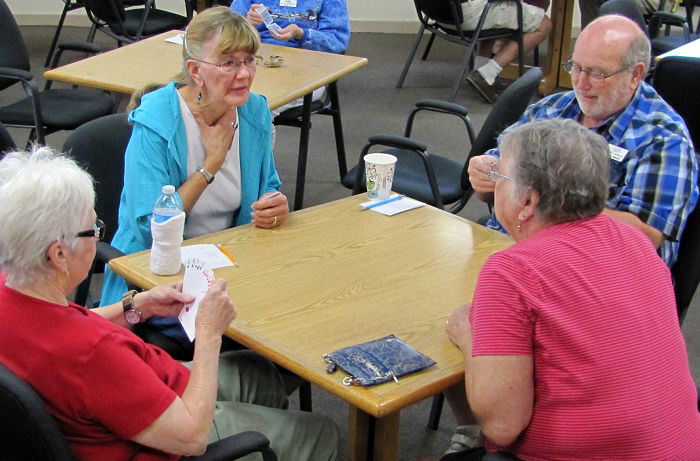 A fun bridge group meets on Tuesdays in the card room of NC-2. Singles and couples are welcome. This is a great group for beginners or masters. Our focus is on having fun while improving our game and helping others to learn. This fun group plays party bridge every Tuesday and Thursday afternoon in NC-1. All you need is fifty cents and your name tag. If you like bridge, you will love duplicate bridge. We play on Monday in NC-2. Bring a partner and give it a try.